Operations on the NOAA Ship FERREL. Dolphin fish. Looks like dinner to me. 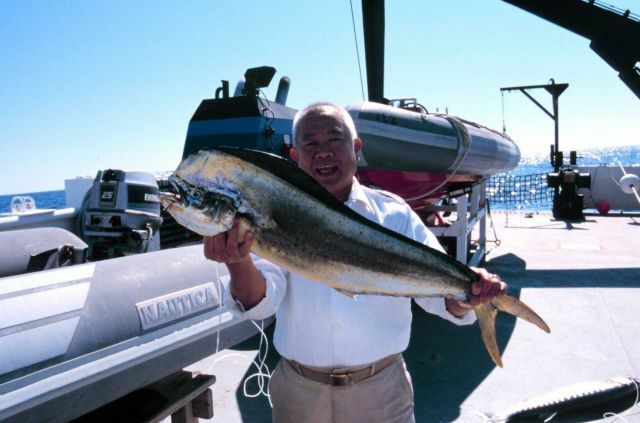 Known as Dourado or Mahi-mahi in many areas. Coryphaena hippurus.